What I will always remember very distinctly was my father telling me “Sophie, dare to say, write or read what you think because others won’t do that for you.” It didn’t mean much to me at the time, but now I understand what he meant. My life was very hectic in the year 1939. In the daytime I was at my university and then I spend long hours in the evening discussing with my brothers and friends about Nazis and the war. It was not always like that. I grew up in a loving home in a small town near Ulm, Germany with my five siblings. My childhood was carefree and happy because my large family was very supportive and empathetic. We were not very religious but we still had a connection towards it. For my brothers and my parents it all started when Hitler came to power in 1933. They felt immediately that life had changed tremendously. I heard them all discussing a lot about how the Nazis persecuted the church, the opposition, and the Jews. It may have been after one of these discussions that my father told me how to behave independently. At first, I found life still quite enjoyable those days. At first, the Hitler youth group of the Nazi party was fun to me. But, soon I was struck by the truth. I could not understand why two of my best friends were not allowed to join a youth group only because they were Jews. At school I got a warning for reading a book of the banned Jewish author, Heinrich Heine. I started a fierce discussion with the teacher. It was without success. But in my opinion, Heine was essential for understanding German literature. When rebelling around these topics, my attitude changed towards the Nazi regime. I started choosing my friends more carefully meaning mostly people that had a similar viewpoint. Luckily my family was on my side. Once, my father was sent to prison for making a critical remark about Hitler. In addition to that, my brothers were arrested for joining the German youth movement that was seen as opposed to the Nazis. Over the years I also started to develop an interest in philosophy and theology. I also started to draw and paint. But these interests were considered degraded for Nazi terms. Once, when I finished with school I decided to become a kindergarten teacher, but after a while I was put into auxiliary war service to become a nursery teacher. After that I enrolled into university, as a student of biology and philosophy. It was at that time that, through my brother Hans, I got to know a lot of friends who had similar opinions to mine. Then in 1943 I took part in producing the first leaflet for the “White Rose” movement. This was how we called our group of likeminded young opponents. Most of the leaflets were distributed in the big cities in Germany, such as Cologne, Hamburg, Berlin, Stuttgart and of course Munich, where I studied. On the 18 of February 1943 my brother and I distributed 1,700 leaflets in the main building of the Munich university. While we were in the middle of spreading the leaflets, the caretaker of the building took a hold of us and on the next morning we were handed over to the Gestapo, which was the feared German secret police. Even though my brother - as always - wanted to take the blame for himself, but it failed because on the next day we were both sent to court. I came with a broken leg because of the ‘interrogation’. Since the principal judge was part of the Nazi regime we were given the death sentence meaning we were to be decapitated by the guillotine. I remember how I wondered in my cell if my life had any meaning and sense by asking myself, “was it a mistake?” This type of question raced through my head. I was saddened, but I was still happy with the thought that at least I had the courage to do something important in history, by speaking out the truth and then I remembered my father...“Sophie, dare to say, write or read what you think because others won’t do that for you.” Now I knew what it meant. While I was waiting in the cell for death to come I thought of my loving childhood, how I was happy to have so many friends by my side. I remember that I took a piece of paper with me to the cell. On that piece of paper I wrote the word “freedom” with a fragment of a stone that I found in there. The final day had come, the 22 of February. I was led to the guillotine. At that moment I wasn’t scared or nervous, which I was before. Instead, before lying down on the bascule and putting my head on the lunette, I stated: “Somebody, after all, had to make a start. What we wrote and said is also believed by many others. They just don’t dare to express themselves as we did.” I did as I was told and I was ready for it. I closed my eyes and for the last time I saw my life race past my eyes. The last thing that I heard was the blade racing down. This was the end. Sophie Scholl’s brothers and many of the other members of the White Rose movement were executed on that same day. 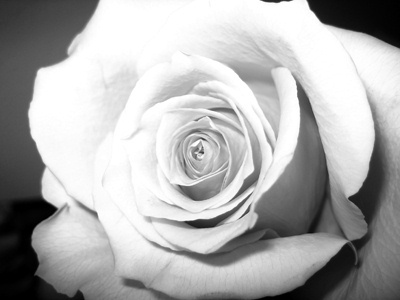 The White Rose movement was a native German resistance group against the Nazi regime. They conducted a leaflet and graffiti campaign. They started in 1942 and they ended with the arrest of the group in 1943. The story is a very telling example about a young girl's bravery, self-esteem and perseverance in a dictatorship.